We want to hear from you! There are a number of different ways that you can get in touch with us. We will respond to submissions within 24 hours or the next business day. 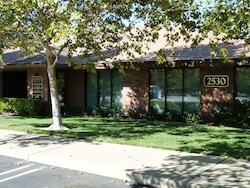 Our offices are centrally located in Roseville, California off Interstate 80 in the Douglas Commons Office Park near Professional Drive. There is ample free parking available. Follow Guy Stuff: Check us out on social media. Find all of the latest news on Twitter. Subscribe to our blog: Subscribe to our Counseling Men Blog and receive our latest blog posts on a variety of counseling topics – from addiction to communication problems to infidelity. You will learn some great techniques and strategies from these helpful articles.